Guppy is lollygagging at the 133.50 area, which lines up with not only the mid-channel support on the 1-hour time frame, but also a 38.2% Fib retracement from the last leg higher. Oh, and stochastic just left the oversold territory! 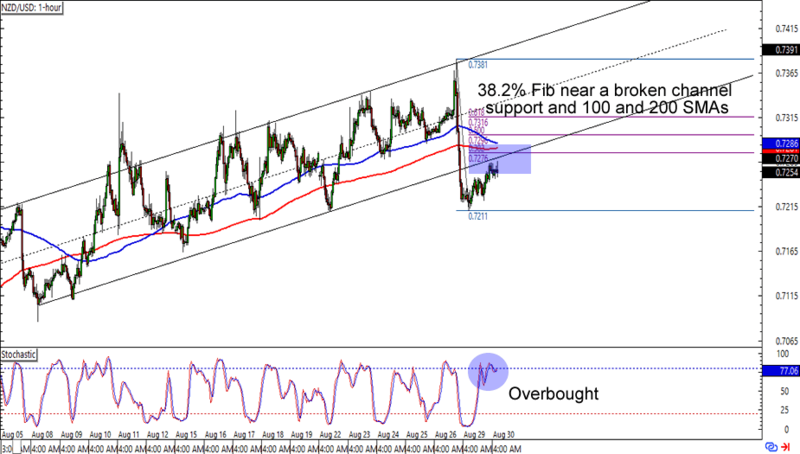 Forex bulls can place stops below the rising channel AND 100 SMA support especially if they believe that the pound will see new highs against the yen this week. Of course, you could also wait for a retest of the channel support before making any bullish plays for a better reward-to-risk ratio. NZD/USD is showing a hot support-turned-resistance scenario, as it retests a broken channel support on the 1-hour time frame. The .7250 minor psychological handle is looking like a good place to short since it’s also just above the 38.2% Fib and the SMAs on the chart. The cherry on top of the sweet setup sundae is an overbought stochastic signal. Think Kiwi is about to see losses against the dollar? 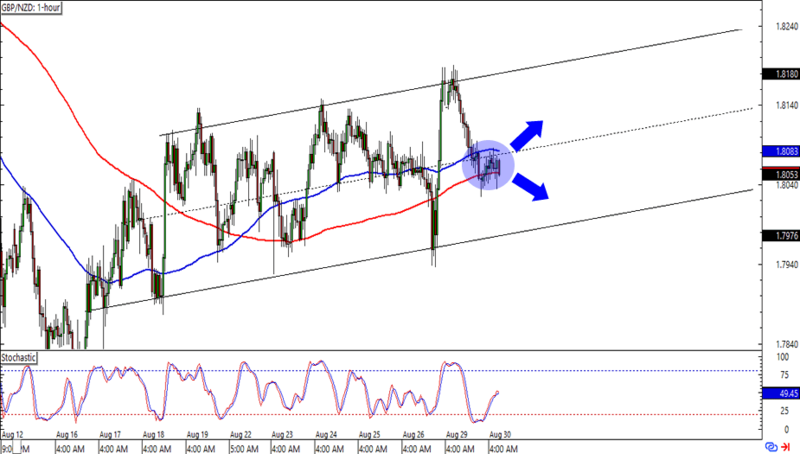 Keep close tabs on this one for more downside momentum! 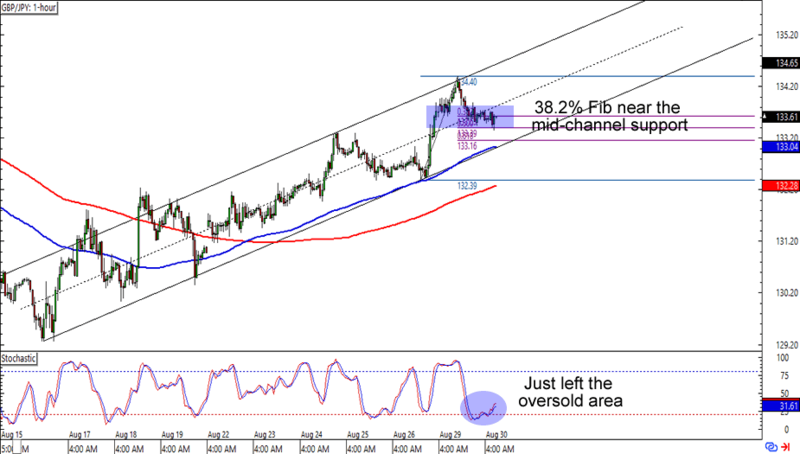 GBP/NZD is having a hard time finding direction as it consolidates around the 1.8050 mark. The bulls might have an itty bitty edge though, since the minor psychological area is right smack at a mid-channel and 100 and 200 SMA support levels. Keep in mind that mid-channel plays in either direction tend to have limited reward-to-risk ratios, so you might want to refrain from holding on to your positions if you do decide to jump in at current prices.